Theresa Carlson was born and raised in Benbrook, Texas. 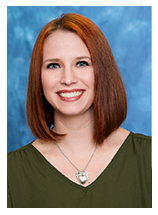 She received her Bachelor of Science in Nursing from Texas Tech University Health Science Center in 2004. Following graduation, she worked as a Registered Nurse in the Transplant Intensive Care Unit at Baylor University Medical Center specializing in kidney and liver transplants. In 2015, Theresa graduated from Texas Tech University Health Science Center with a Master of Science in Nursing. 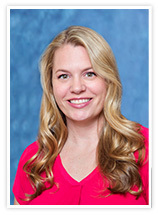 She is a board certified Adult Gerontology Acute Care Nurse Practitioner. She is licensed to diagnose, examine, and treat patients under the direction of Drs. Scott Biedermann, Jessie George, Samitha Reddy, John Hartono, and Alice Hsu. Theresa currently works with dialysis patients around the metroplex and in the clinic, seeing new patients as well as established patients. Theresa is an active member of Texas Nurse Practitioner Association, North Texas Nurse Practitioner Association, and American Nephrology Nursing Association. Theresa lives in Plano, Texas with her husband and two children. She enjoys fishing, kayaking, watching her Red Raiders play football, traveling and spending time with her family.